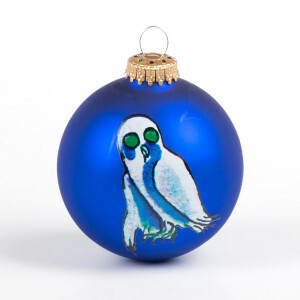 3 1/4" round royal blue glass ornament with a gold top featuring the Owl Logo from English Oceans printed on it. 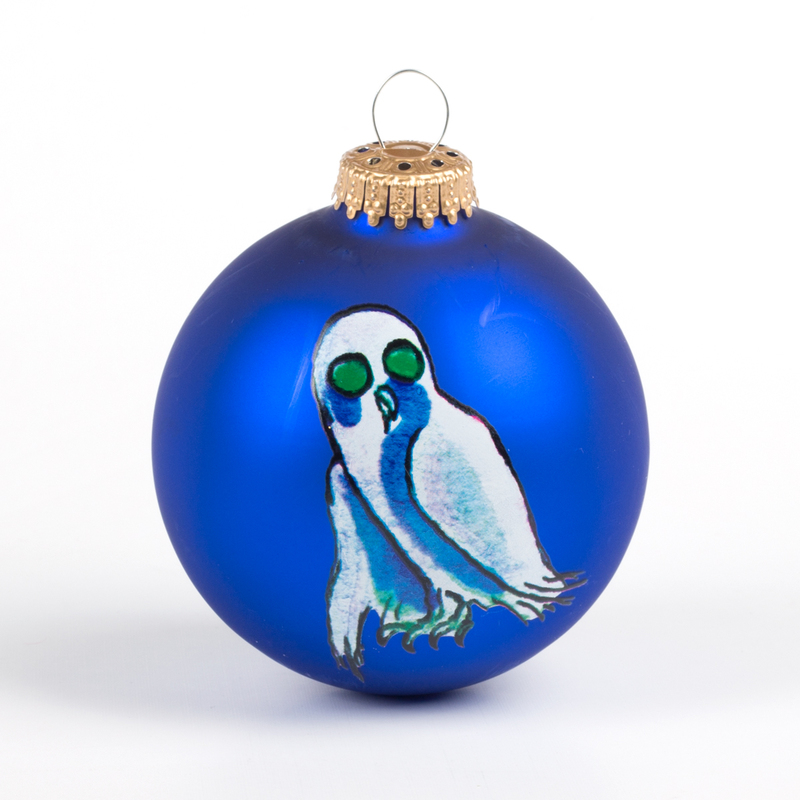 Each ornament is individually packaged in a protective gift box. Made in the USA.